November may not exhibit the gaudy charms of some of our more festive (not to mention warmer) months in the Northern Hemisphere, but these days possess their own charms. For example, we’re entering that season where you have to decide if you’d rather be birding or be warm. Who won that battle this weekend? I was all set to stay home, but a crisp and bright Sunday morning called me to the lake, where I picked up my annual Brant. I miss living close enough to the ocean to see these great little geese on the regular. Corey enjoyed an outstanding morning flight at Fort Tilden on Sunday with a variety of excellent birds. Normally, the Evening Grosbeak that went over would easily have been his Best Bird of the Weekend seeing as it was only the second time Corey had ever seen an Evening Grosbeak in Queens. But his first-in-Queens Northern Shrike easily took the prize! A new bird on Corey’s Queens list will always be his Best Bird of the Weekend. 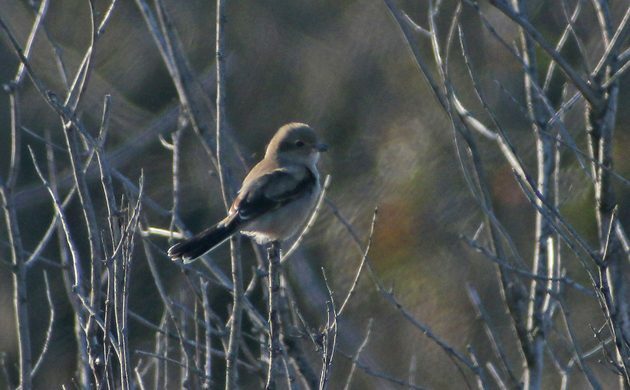 @Corey: Northern Shrikes are awesome! My BBot(non-birding)W would be the return of the Carolina Chickadees to Philly this weekend. I look forward to my toddler imitating their call the same way I’ve taught him “Jay jay jay” and “Caw caw”! This is so easy…..I got to spent nearly an hour with a male Resplendant Quetzal near Quetzals Paradise Lodge, Costa Rica. The bird was in great lighting, turned many times to give looks at all sides. A simply amazing bird! !